Why 100% FDI is not a safe bet in defence sector? Dear Narendra bhai Hitler Modi, if you think that life threats to me and reporting of Idhar Udhar blog as spam due to which Google has disabled my ad sense account, will able to force me to stop writing against you, then you and your dirty department are living in fool paradise world. I don't write articles just for the sake of earning from google ads. 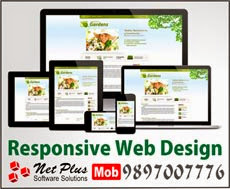 I have direct ads of Sujata and web designing also. Even if google close my blog, then also I have an option to create my own website. I don't care about my life as well and you may buy the main stream media but you can't bid for the neutral platforms with your money and muscle power. Your life threats has inspired me even more to keep exposing you and your party. You may kill or arrest me tomorrow but I will let my pen to do all the talking. If you take the life of one blogger for writing against you then there will be thousands of bloggers tomorrow who can make your life hell. Our real war has started from today and we are going to give you a real tough time from now onwards. Stop me if you can and take this as an open challenge from Idhar Udhar. One random guy has thrown this warning letter to my house today which is not in someone's hand writing. He has cleverly typed this warning letter. Earlier, some people have spammed the blog due to which FB was reporting my blog link as a spam. They have deliberately added my blog link into adult content sites so that google can take action against my blog. As a result, google has disabled my adsense account on a ground of getting traffic from adult content websites. Modi wave, myth and media: Just 90 seats for BJP?